The 1945 J.Lewis, Aberdeen, built DUMBO, owned by V.& J.A. 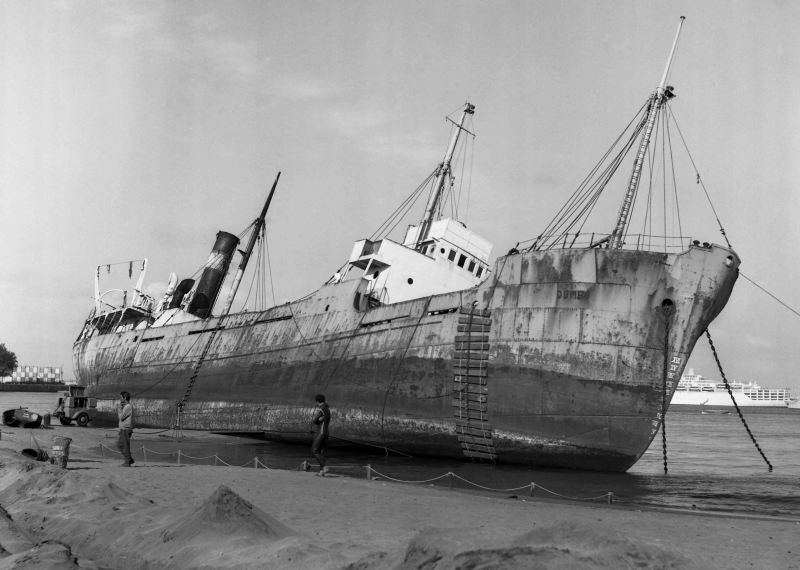 Ensenat of Madrid, is seen beached at Las Palmas in April 1969. She was wrecked at Alcalavaneras Beach, Las Palmas, on 24.11.68 while laid up under arrest and broken up at Las Palmas in 1969. It is probably rare to have a ship named after her captain. This photo has been shown 955 times since it was added to the site.